Heat oven to 400°F. In large bowl, mix cherries, 1 1/3 cups sugar, the tapioca, flour, salt and almond extract. Let stand 10 minutes. Meanwhile, make pie crusts as directed on box for Two-Crust Pie using 9-inch glass pie plate. Pour cherry mixture into crust-lined plate; dot with butter. Top with second crust and flute; cut slits in several places. Brush top crust with milk; sprinkle with 1 teaspoon sugar. Bake 20 minutes; cover crust edge with strips of foil to prevent excessive browning. Reduce heat to 350°F; bake 40 minutes longer or until golden brown and bubbly. Cool at least 2 hours before serving. 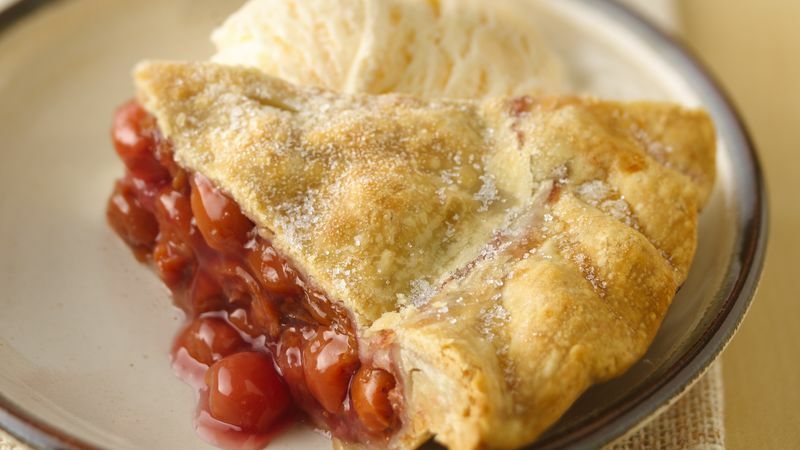 This cherry pie recipe by Marianne Carlson of Jefferson, Iowa, won the Pillsbury Refrigerated Pie Crust Pie Baking Championship at the 2009 Iowa State Fair.